On 12 August, there was a two-hour interactive session at the National Institute of Industrial Engineering (NITIE), Mumbai in its new academic building campus as part of its industryacademia interaction. The arrangements for the event were made by PMClub NITIE. The topic of discussion was “Project Management - EPC Perspective in the Oil and Gas Industry,” and it was delivered by PMI India Champion Sanjeev Gupta, PMP, who was supported by Senior Champion Kiran Rajeshirke, PMP. The session was well attended by over 45 students of NITIE's MBA - project management program, along with three of their professors - Prof. V.B. Khanapuri, Prof. Koteshwar Rao, and Prof. Vijay Dixit. NITIE is now looking forward to having sessions on SP3D and Primavera 6.0. On 25 September, PMI India Champion Brijesh Shah, PMP, conducted an informative session on “Agile Approaches and Contracts” at the Ahmedabad Management Association, Ahmedabad. Around 25 project management professionals from different industries such as IT, construction, pharmaceuticals, and oil and gas attended the session. On 21 September, a one-day workshop was organized by PMI India Champion S.N. Panigrahi, PMP, on “Impact of GST on Logistics” at Eaton Industries in Pune. 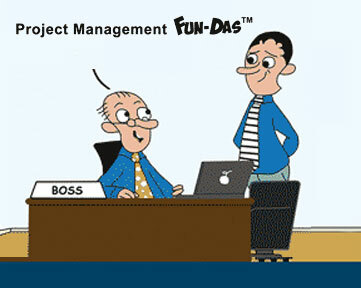 He covered project procurement management and project risk management. It was attended by around 30 professionals. As part of a PMP awareness program at Cybage, Pune, from 21 September to 1 October, PMI India Champion Kalidas Panambur, PMP, covered topics such as risk management, stakeholder management, project life cycle, professional code of ethics, and organization types. A four-day PMP awareness workshop was conducted at OTP, Chennai from 29 August to 2 September by PMI India Champions Sumanth Shampur, PMP, and Soumya Narayan Varadhan, PMP. The session was attended by 27 participants. Aspiring project managers also received guidance on PMP exam preparation. It was organized at the premises of Virtusa Polaris, in collaboration with PMI India Champions Ramesh M., PMP; Devi Govindasamy, PMP; and Mohit Jain, PMP. Over 20 aspiring project managers attended these sessions spread over four days across weekends. These sessions were conducted live in Chennai and Gurgaon, and connected over video conferencing to Hyderabad, Pune, and Mumbai. A two-week long PMI-ACP workshop was conducted by PMI India Senior Champion Kalyan Sathyavada, PMP, at IBM, Hyderabad from 29 August to 9 September. It was attended by 40 participants and covered topics like the agile manifesto, agile framework and methodologies, risk management, and quality management. PMI India Champions Raghavendra Muliya, PMP, and Padmaja Praveen, PMP, organized a series of helping hand sessions for PMP aspirants from 22 August to 27 September at Robert Bosch India. 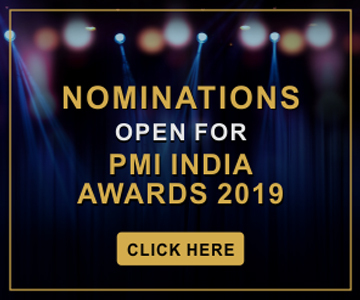 The program started with a keynote from Padmaja A.R., vice president at Bosch, followed by an overview of PMI by Jacob Varghese, PMI India, and an overview of A Guide to the Project Management Body of Knowledge (PMBOK® Guide) by Ananda Lokhande, PMI India Champion. The kick-off was attended by over 180 project managers at Bosch. 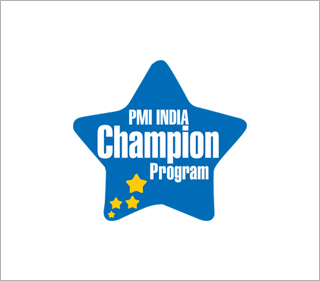 The four-day PMP workshop covered all the chapters of the PMBOK® Guide with theory, exercises, and sample questions taken up by PMP certified employees of Bosch. 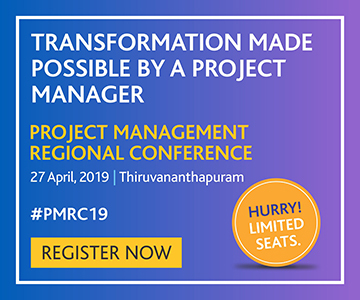 The closing session on professional and social responsibility of project managers was delivered by Sathish Kumar C., PMP, project management officer, Bosch, followed by an experience sharing session on PMP exam from PMP certified employees of Bosch. PMI India Champion Jaydeep Chakrabarty, PMP, delivered awareness sessions for those aspiring to take up the PMP examination. The sessions on 3 and 11 September were part of an initiative taken by PMI West Bengal Chapter. Seventeen participants from different industries attended the program. One of the participants appeared for the PMP certification exam within two weeks of attending the workshop and has cleared it. Mr. Chakrabarty was honored by PMI West Bengal Chapter at the annual general meeting on 17 September for his voluntary contribution. 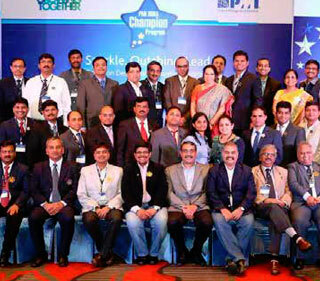 It is a demonstration of how Champions and chapters can effectively collaborate to advocate project management.